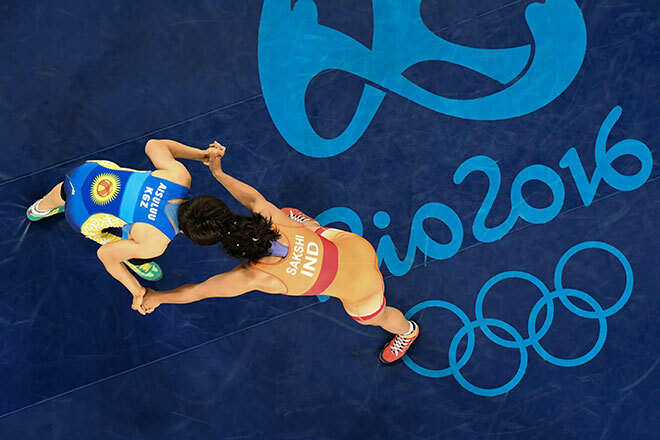 Sakshi Malik snared India's first medal of the Rio Olympics on Wednesday when she claimed bronze in the women's freestyle wrestling 58kg category. Malik defeated Aisuluu Tynybekova of Kyrgyzstan 3-1 in one of two bronze medal matches. "It's my dream of 12 years come true, I'm so happy," Malik said. "It's a very pressurised match because it's a medal match - very, very pressurised. "I was very confident I would win."